The disruption of new technologies is reshaping how financial services organizations are conducting business. The shift to digital business is creating unprecedented opportunities for IT leaders to power new business growth by drawing on their technical acumen and inventive prowess. 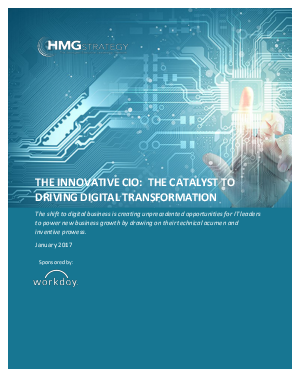 Read this report from Workday and HMG Strategy to learn the critical strategies CIOs need to lead digital transformation in their organizations.